Over the last few months I’m finding a routine, a pattern to my days. Paying work begins first thing in the morning and continues until my conscience is clear. Spinning and weaving (other than tapestry weaving, of which more anon) are also daytime occupations. In the evening I sit in my comfortable chair wearing two pairs of glasses (my bifocals plus reading magnifiers) with the floor-standing task lamp lighting the sewing in my lap as I stitch and think about the life cycle of fabrics. The time and skill needed to make handspun yarn into handwoven cloth means that fabric and clothing was once precious, something that could be measured more accurately by the days, weeks and years of the makers’ lives than by the retailer’s arm length (the ell) or measuring tape. The increasing interest in boro/boromono, chikuchiku, and other visible mending techniques pays lip service to this, but I think fashion and the stitchers working with new fabrics, even buying fashionably-distressed new clothing in order to repair it are missing one of the points: their stitches are adding value by creating something beautiful, not by repairing something too precious to discard. I am genuinely looking forward to repairing something made from my own handmade fabrics, but in the interim I’m repairing things that are precious for other reasons. I bought this (black!) sweatshirt as a souvenir at Flag Fen when it was still an active Bronze Age archaeology site in the early 1990s. I wore it regularly, until the ribbing was losing its structure and holes were appearing in the fabric. When I picked it out of the workclothes pile to wear in the garden about 6 months ago I realised it had become precious to me as a reminder of a past time and place, so I put it to one side for repair. I chose a red handspun mulberry silk for the repairs to reflect its new-found value, to match the logo, and because the red looks wonderful against the faded charcoal greys. 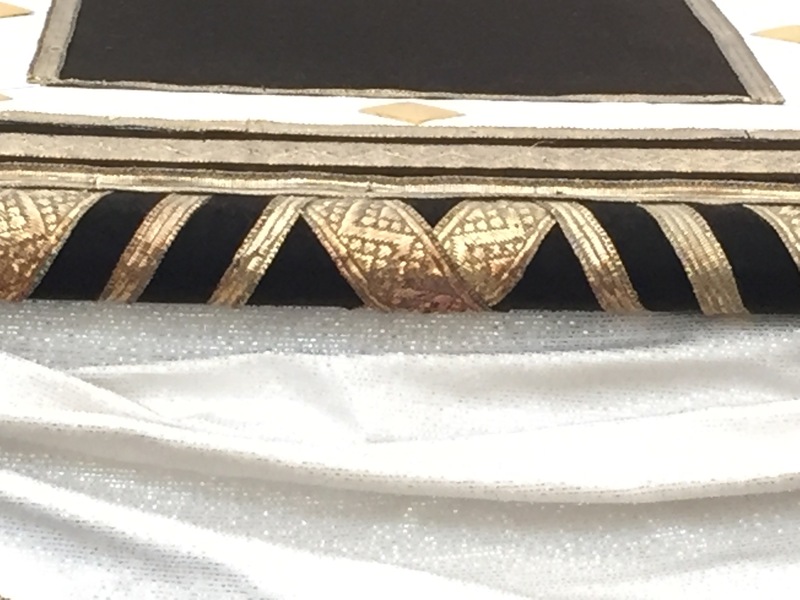 An embroidery hoop holding the fabric straight under light tension made it easier to follow the lines of the knit fabric and maintain even stitching. Magnification is essential: I can’t see to stitch this with reading glasses alone! With the fabric under tension it’s easier to darn the hole with sewing thread matching the fabric colour and the parallel lines of the knit fabric are clearly visible. Think of the lines of the knit fabric as the warp on a loom, with the red silk needle-woven as if it were weft. Plain weave weave is over one, under one. A 3/1 twill is over 3, under 1. The repair at top left was done freehand, without the embroidery hoop, as evidenced by the way I lost count of the overs and unders. I love the sense of movement, though. That’s a diamond twill somewhat flattened by the difference in ‘weight’ between the silk and the knit fabric rib. I tried several methods to restore some elasticity to the flabby over-stretched ribbing, but none were successful so I resorted to reinforcement and decoration with a mix of running stitch and chain stitch. I may add some of this to the sweatshirt neckline, but then again I may not. It doesn’t need repair. My vintage (made between 1971 and 1984) denim jacket had some intrinsic value: I paid hard cash for it at a flea market. 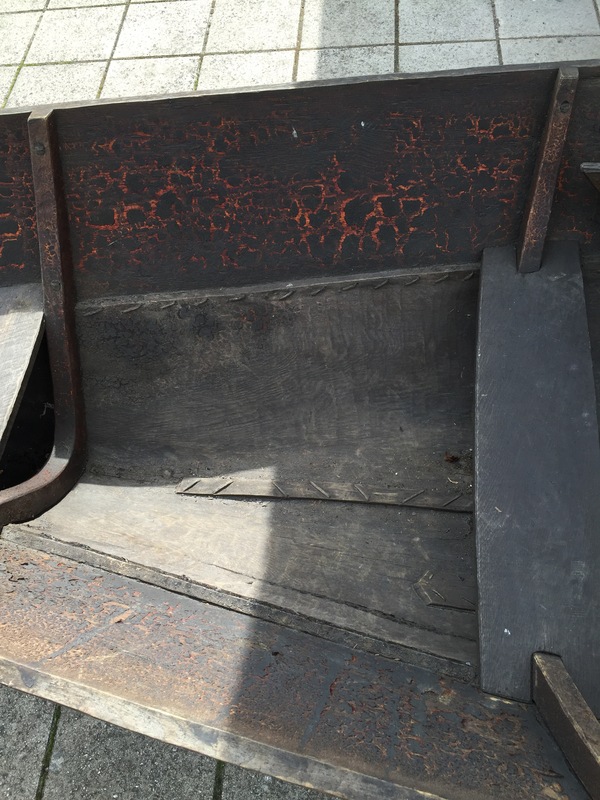 There are several posts about my stitched repairs to the yoke, starting here. A couple of weeks ago I added a skull-and-roses on the main back using my hand-cut stencil and Japanese Indigo leaves. Even a pass through the ‘delicate’ cycle of the washing machine to wash out the hydrogen peroxide neutralising the bleach (highlighting the skull) and washing out the leaf juice revealed more weak points in the fabric: more opportunities for repair! The edges of the cuffs and facings range from ‘showing wear’ to ‘disintegrating’. I trialled an edging of Palestrina stitch in the same red silk I used for the sweatshirt; it works but is a little less even than I’d hoped on the disintegrating edge. It might have been better to encase the cuff in another fabric and stitch that, but for some reason I can’t explain I feel that would be the wrong thing to do on this jacket. I will try to come up with a better solution, though, because the facings are just as worn. I do know that I don’t want vertical scarlet lines down my front, so even if I use Palestrina or some other ‘blanket stitch’ it won’t be red silk. The photo below shows the Palestrina stitch cuff with a different repair strengthening worn areas of the fabric body. People on Facebook have asked how I do this. It looks impressive but is very simple provided you’ve got magnifying glasses and good light: I’m simply backstitching a single strand of embroidery floss down the ‘ditch’ in the twill. Just for fun here’s a X80 view of the stitches and the ‘ditch’, which on this – the good or blue side of the denim – is created by the weft revealed as it passes over one warp thread: on each side of the ditch it dives under three warp threads. The diagonal results from the shift one thread to the right (in this photo) in each successive weft pass. The weft is white, the warp (the long verticals) was once dyed blue with indigo, but the surface of the cotton and its embedded indigo wore away leaving only indigo dust embedded in the crevices of the fabric. The needle in the photo is only embedded in the backstitch position to give you the idea: I confess I usually stab-stitch the backstitch for more accuracy when I’m working it. This is what it looks like over a larger area. I started working only with blue to maintain the sense of blue in the jacket fabric, but couldn’t resist the opportunity to change colour across a wider area. The white fuzz is in an area where the warp has been worn away to reveal the weft. In a small area like this I re-create the ditch lines with backstitch holding the weft threads together but if it’s any larger I add a backing fabric for strength, especially on the shoulders or other areas subject to stress. The visibility of that particular fuzz is annoying me, so I will probably go back and needle weave some darning structure under the backstitch to add structure before trimming some of that fuzz away. This entry was posted in fixing things, sewing, Uncategorized on September 10, 2018 by sarahw. I’ve decided to practice stitching on the sampler from the Hand & Lock Opus Anglicanum workshop instead of planning something amazing without in fact knowing what I’m doing. I’m already pleased with the decision because I’ve learned that some threads seem to split more nicely than others: all this is split stitch, but the brown shows the stitches much more neatly than the blue, which seems to want to twist and close the open surface created by the splitting. ‘Laying’ the stitches in a finished fill by smoothing the area with the side of the needle makes an real difference to the sheen and smoothness of the fill. I suspect it’s even more important if working in silk rather than single strands of cotton embroidery floss. The direction of the stitches really matters: they have to flow, ideally avoiding sharp corners, so plan ahead. Incidentally I’m wearing +3.5 reading glasses to work this; each stitch is 1.0–1.5mm long and my ageing eyesight can’t copy on its own. It’s such fun that I spend too long at it each evening: although the fabric is mounted in a hoop that stands by itself, my arms complain about being held in sewing position. I may need to order a cheap pair of reading glasses set up for a longer distance from the optician so I can sit a little straighter with my arms extended a little more. But this is fun. I’ve decided that weird object he’s holding is a book, which I think I’ll couch in purple silk because I have some. I don’t know what he thinks is hanging from his belt, but I think it’s a bag for the book. I have no idea why the shadow is so dark under his chin; it could be a beard, but I like the line of his unencumbered chin too much to change it. I may run with a couched gold halo around his head but it does look a bit like a Rastafarian ‘tam’ … a tempting thought. 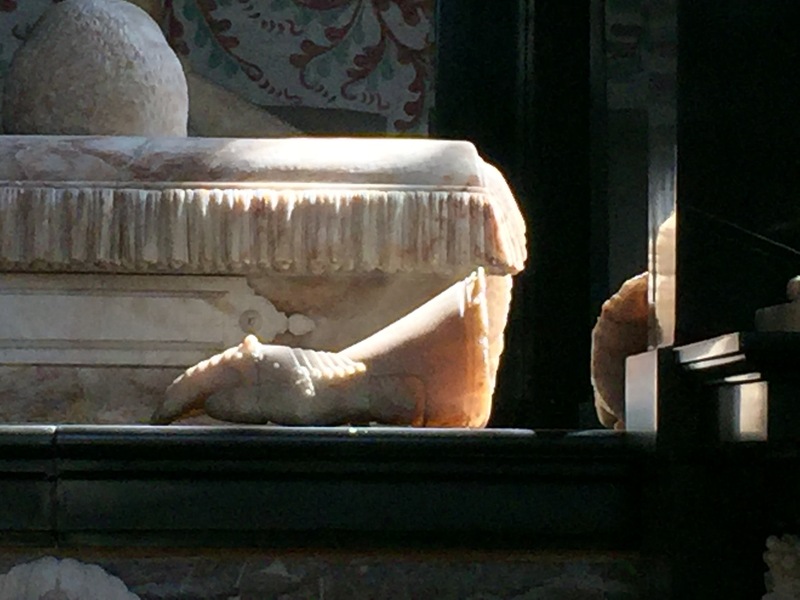 There is a lot of beautiful stitching and information about opus anglicanum here. I’ve seen that ‘cabbage stitch’ used to create a pattern of dapples on a horse; I’m thinking of using it for some of the Pearly Monster’s surface in case I don’t have enough plastic pearl beads. Although I may have some in the Box of Requirement. This entry was posted in Uncategorized on February 14, 2017 by sarahw. 24 February 2017: I have had to cancel the Fibre East workshop for personal reasons, but was able to re-schedule it earlier in the year: April 1, 2017, at the Letchworth Settlement. This workshop is also fully subscribed. The workshop will cover as many aspects of this as possible (no limits! ), so I expect we’ll cover more than the subjects listed below. Topics will include wheel set-up** and spinning techniques, including ‘production’ spinning; faults and flaws to avoid in your weaving yarns; preparing your handspun yarns for weaving (with special reference to singles, including the use of sizes). We will discuss how the intended purpose of a yarn should influence choice of fibre and spinning technique. We will examine a selection of historic or handspun, handwoven textiles from the UK and elsewhere in order to learn from times and places with strong traditions of handmade fabrics. 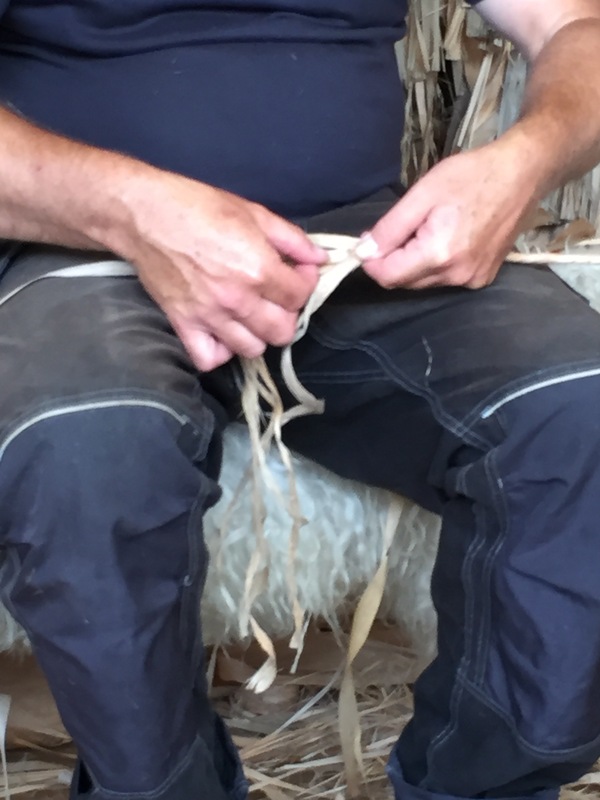 Having looked at handspun textiles we will at least discuss how to approach the task of replicating the yarn needed to weave a particular textile. 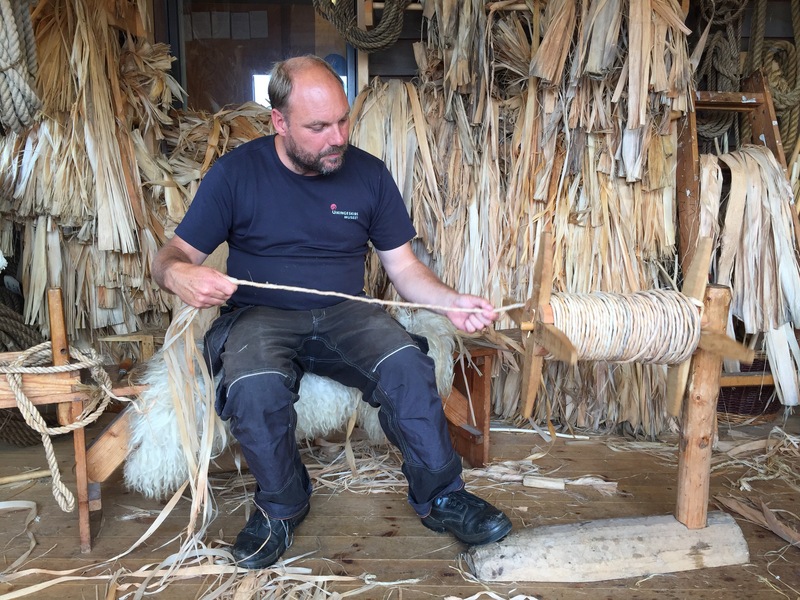 Although the focus is on spinning for weaving, this workshop may be of interest to anyone who’d like to learn to think mindfully about their spinning projects. It is NOT suitable for beginning spinners: attendees must already be able to produce a continuous yarn using a spinning wheel or spindle. Although we will look at some cotton fabrics, the workshop is primarily about spinning wool. It is a full-day workshop on Saturday 1 from 1000 until 1700. Hot water, tea and coffee will be available, but you’ll need to bring your own lunch. Note: some of my historic fabrics are stored with sandalwood, cedar wood and lavender soaps or essential oils to deter pests. I will air the fabrics before the workshop but if you’re sensitive to any of these please let me know ASAP so I can air them longer and more thoroughly. This workshop is limited to 10 students: I need to be sure that everyone has a good chance to try everything, and that I can spend time with those who need it. Cost is £80 per person including materials, of which £20 is a non-refundable deposit to cover room hire and ensure your place in the class. ‘Non-refundable’ means I promise to return your money only if I have to cancel the class. People were spinning for weaving with spindles long before wheels existed, so if you’re comfortable spinning medium to fine singles on a spindle you will be fine. You might want to park-and-draft to experiment with true woollen long draw. This entry was posted in Uncategorized on December 14, 2016 by sarahw. Blogs can do that, unlike leopards. This blog (carpe diem, which can now also be found at wroot.blog) will focus on spinning, weaving, dyeing, and other textile projects. I’ll try to remember to copy interesting fibre projects to the travel blog because I know some of my readers enjoy All The Things. This entry was posted in Uncategorized on December 2, 2016 by sarahw. 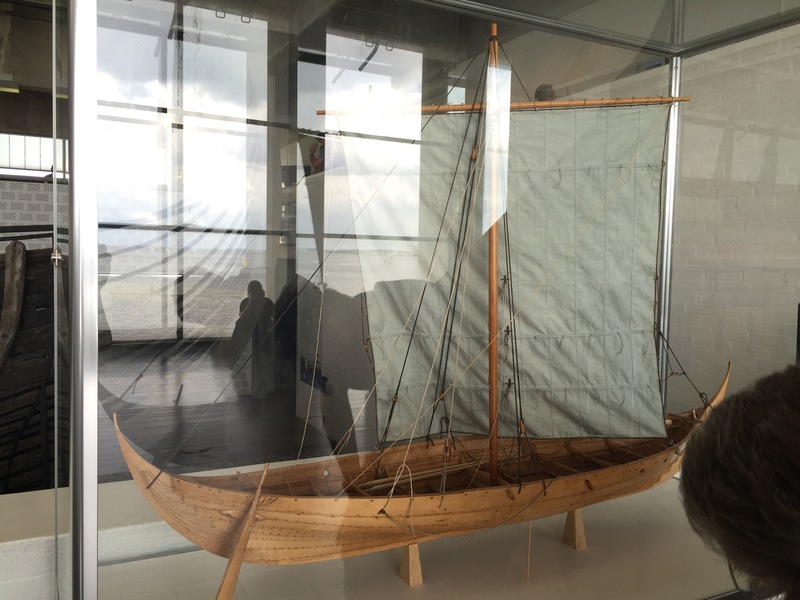 A long time ago, at a Medieval Textiles conference in London in 2011, I was held spellbound by Anna Nørgård talking about spinning and weaving sails for the reconstructed Viking Age ships at Roskilde. 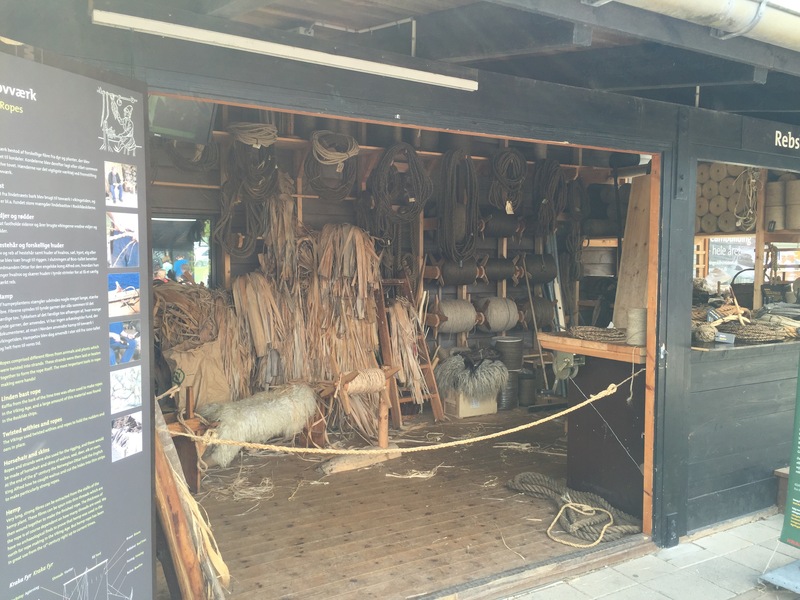 I took copious notes – I still have them on file – and clearly remember purposefully forging through the crowd to handle the samples of yarn and sailcloth, as it came off the loom and after waterproofing with fat from whatever animals had died recently. 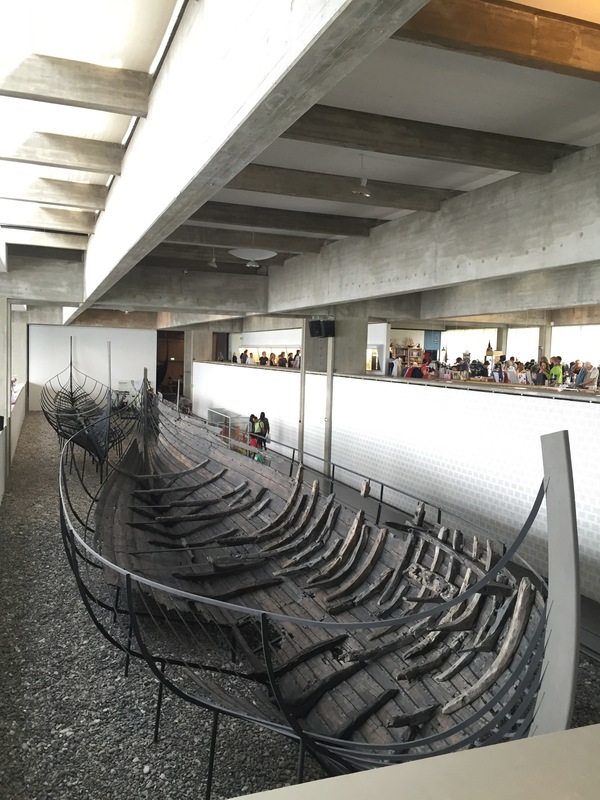 I promised myself that one day I would go to the Roskilde Vikingeskibsmuseet and see the woollen sails on the ships. The timing of this entire holiday was determined about 6 months ago by the availability of evening cruises on the fjord (in reality a large brackish waterbody, no cliffs. This is Denmark, not Norway) in vessels built at the Skibsmuseet, plus A Birthday date. 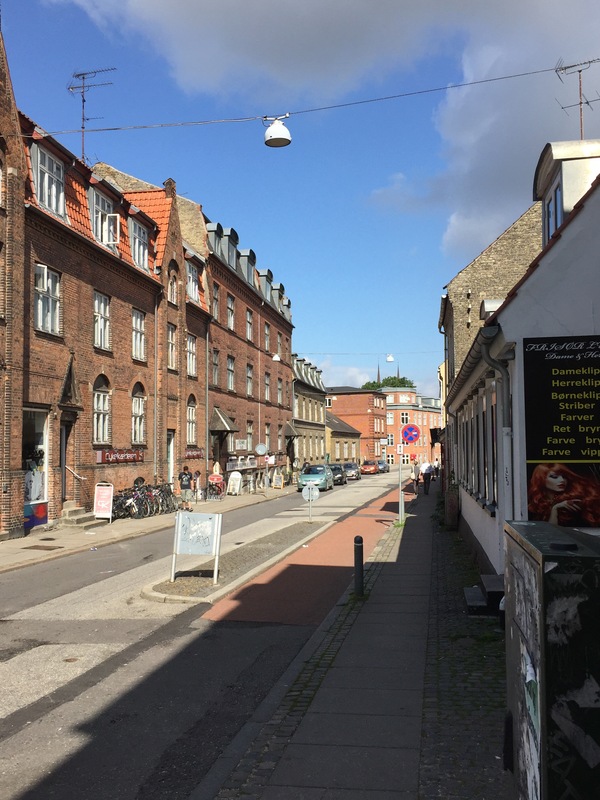 The twin pointy things visible over the rooftops are two spires of Roskilde Cathedral. So at long last on Thursday morning we walked north to Nørreport for the train to Roskilde.There is more to see here: Roskilde Cathedral is a UNESCO World Heritage Site, the first Gothic cathedral in Scandinavia, the first Gothic cathedral built of brick, and the burial place of Danish monarchs since the 15th century. It’s impressive. Very impressive. Strangely approachable, almost homely in warm red brick by comparison with the more usual cold grey stone. 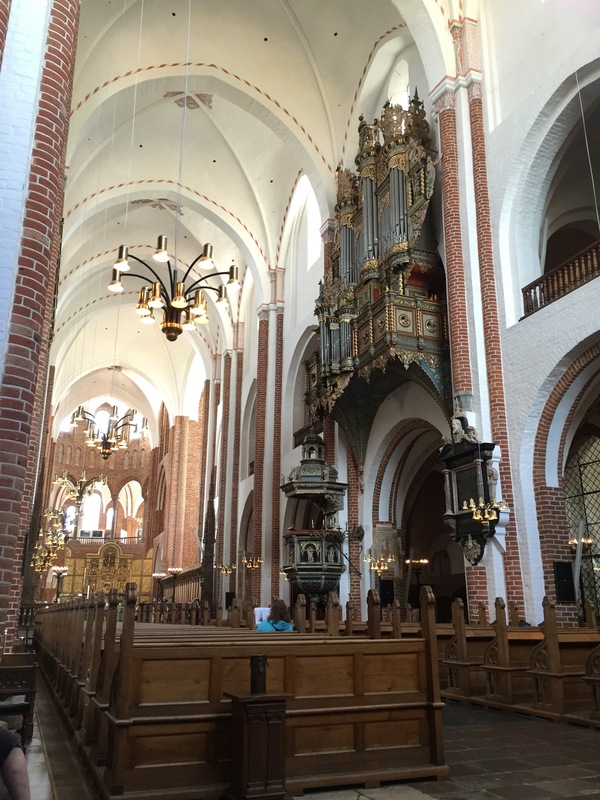 Someone was practising on the organ (the oldest parts of which date from 1555). Medieval wall paintings cover some of the chapels. 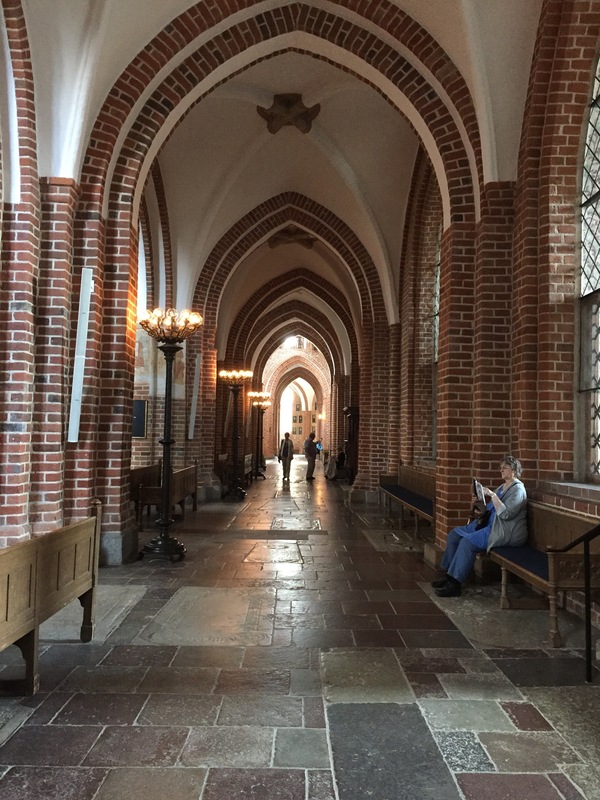 Those in St Birgitta’s chapel date from the early 1500s. The main theme, though, is the death of Danish monarchs. 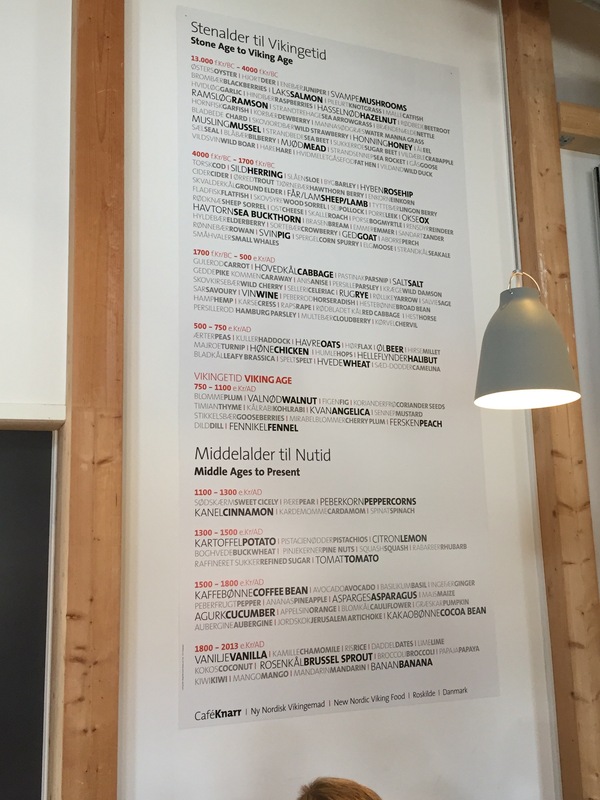 There’s a good summary here with photos, albeit not English text. 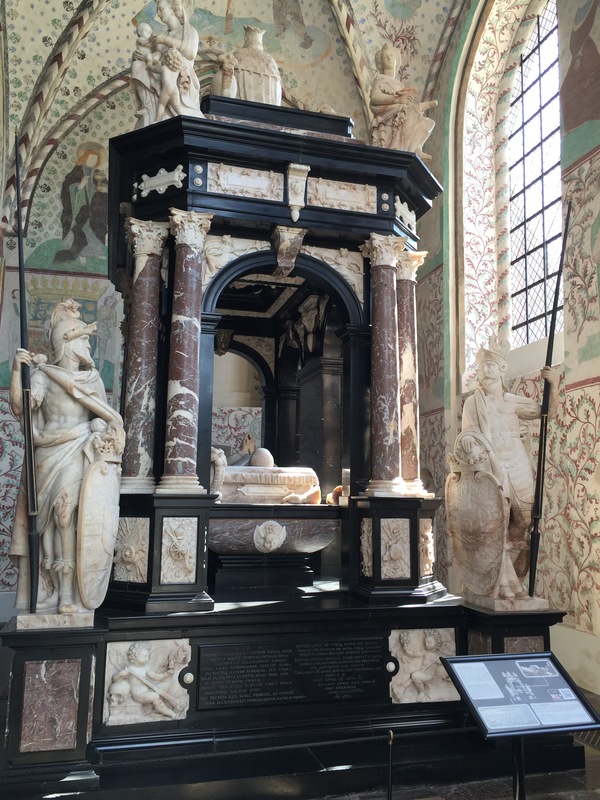 The chapel containing the monuments to Christian 9 and Louise, Christian 10 and Alexandrine, and Frederik 9 and Ingrid is stunning in its relative simplicity. 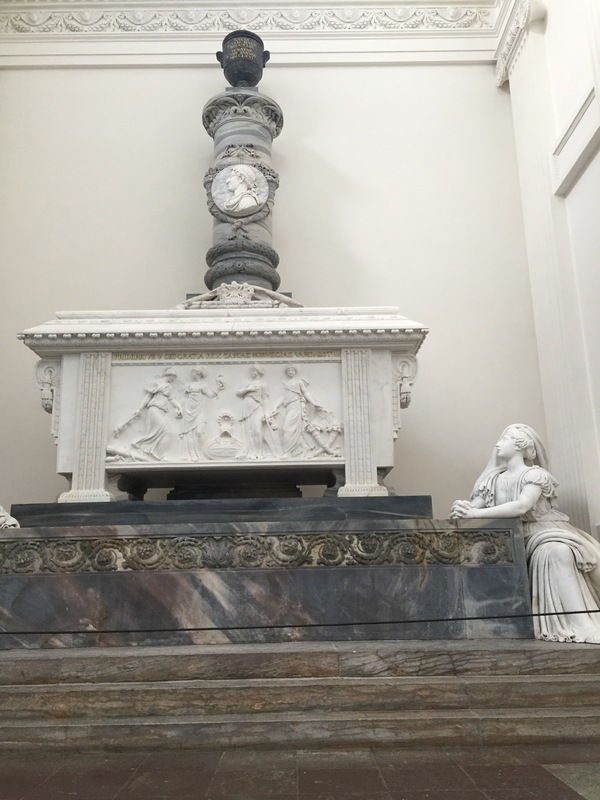 Tombs of grey granites and marbles and white marble statues (the ‘three sisters of the Little Mermaid’: Grief, Memory and Love. The sculptor Edvard Eriksen’s wife was the model for all four) are bathed in light from the dome, reflecting off the white walls. It’s Northern and beautiful, and too busy for a photo while we were there. The chapel of Frederic 5 has a similar feel but the neo-classicist style is more ornate. 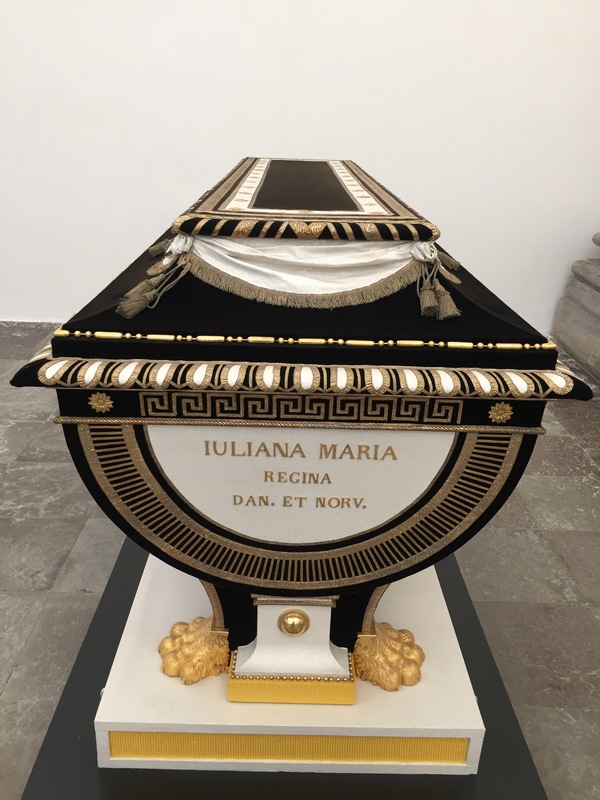 I was rather taken by the use of dead blacke velvet to cover some of the coffins. Intending no disrespect to Juliana Maria, my eye was caught by some of the gold trim … It looks very like brocaded tablet weaving. 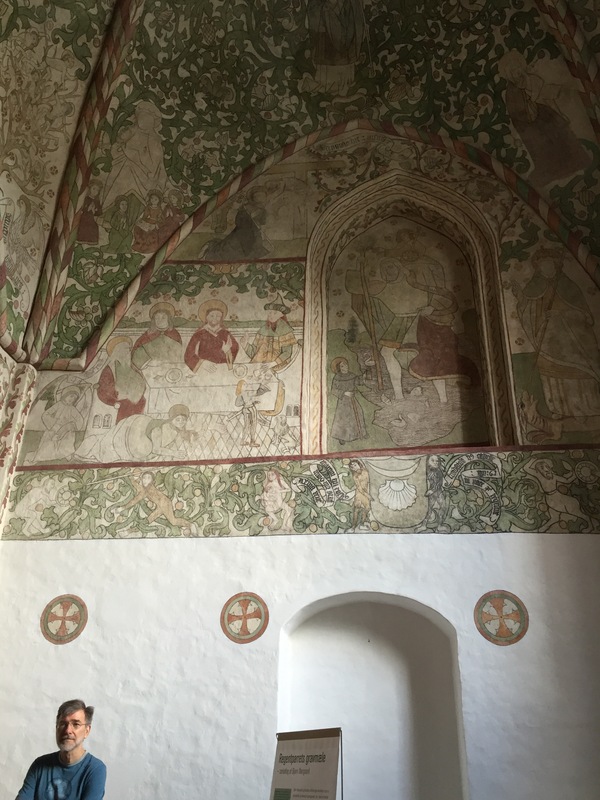 Christian 1’s chapel is also richly painted with frescoes from the second half of the 1400s. Follow the signs, walk down the hill to the harbor, and we’re there. While we waited for our lunch (it had been a long morning and would be a longer evening), i bounced around the workshops in the yard. Especially this one: the rope maker. He was at lunch, but the materials – and a counter covered with sample ropes were there to be admired. Look closely at the cones of hemp yarn visible at right: that’s the last stock of hemp yarn tight-spun for ropemaking in the world. If they want more they’ll have to commission it, and the minimum order is enough to rig an entire ship larger than any Roskilde have. 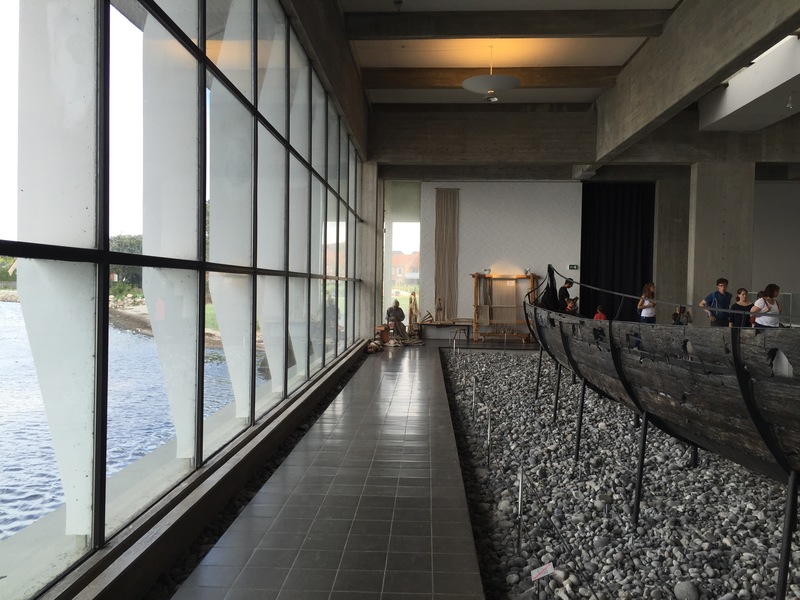 In addition to the ‘Viking’ boats, the ship museum builds and maintains a collection of traditional working boats. 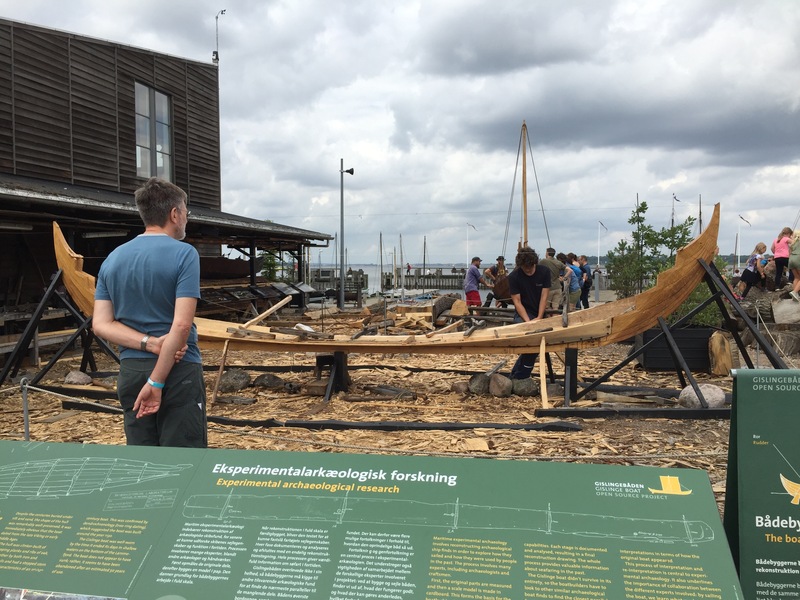 They’re building another take of the Gislinge boat, a working boat from c. 1130. She should be ready for the water some time in November 2016. Early log boats (hollowed trees) were enlarged by adding boards to raise the side, sewn together with fir or spruce roots, or lime bast. The rope maker was back! 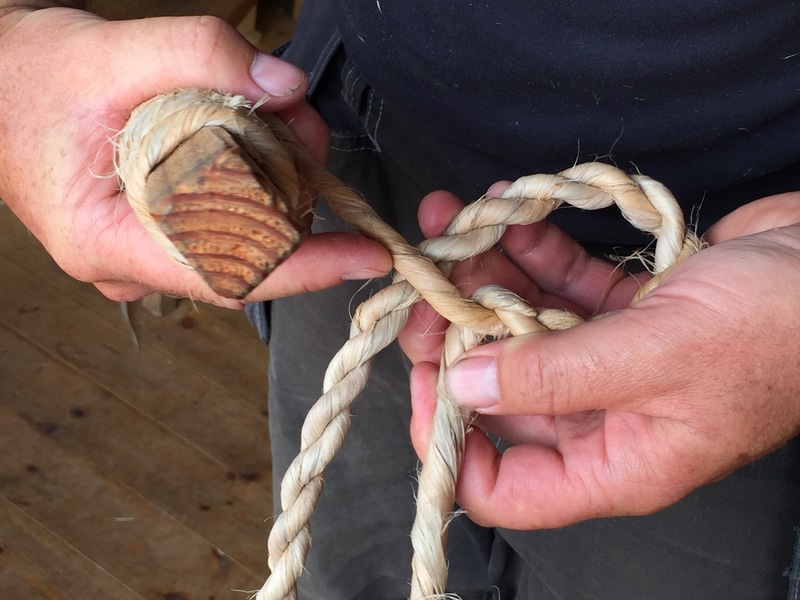 We talked about lime bast vs seal hide, and he showed me how to make rope from bast. I’ve studied Youtube to no avail, but now I think i understand. It’s more wrap than twist, although there is twist. The winder is used to add a little more twist. Starting the loop at one end of the rope. 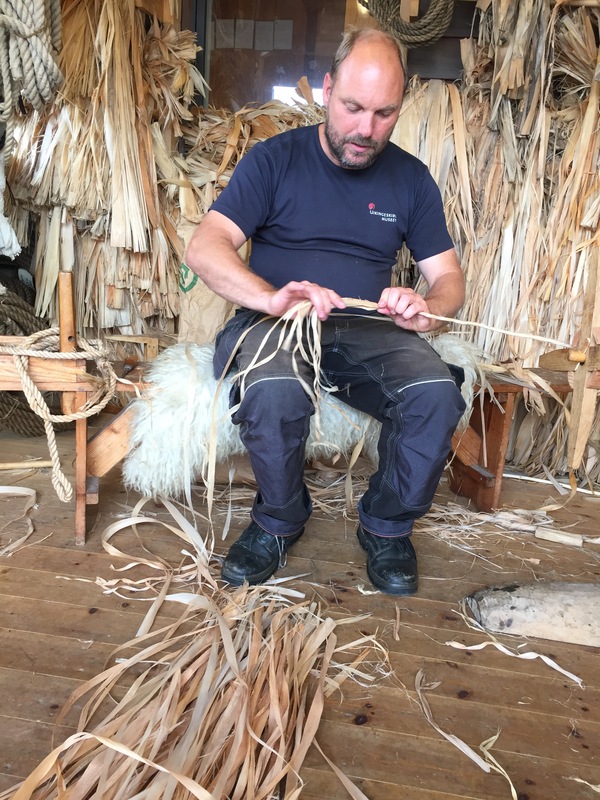 Each piece of bast rope is made to order, a specific length, with the ends finished in a specific way. 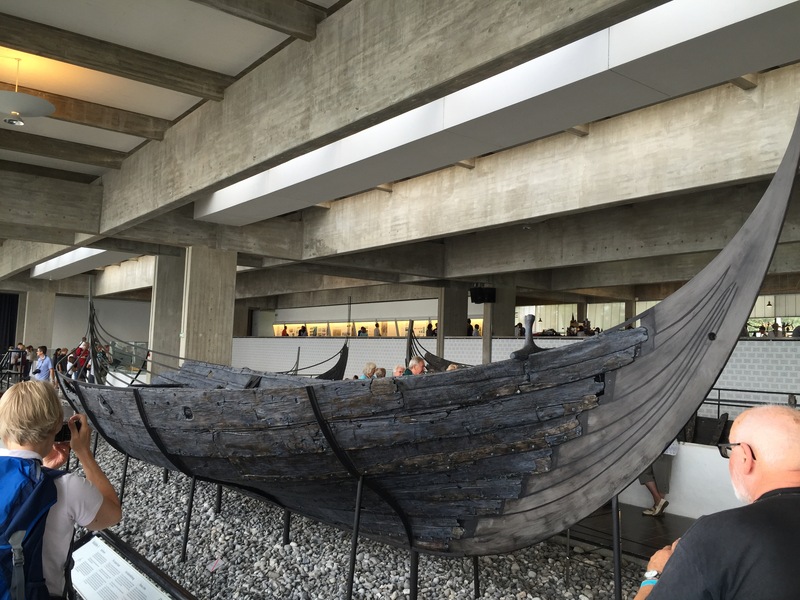 I spent ages watching and asking questions before i took my leave and we headed into what is for most people the main event: the building housing the restored original Viking boats. A 1:10 model of one of the boats, used to work out the principles before planning the full-size replica. Down the far end, in good light, we saw a warp-weighted loom of linen yarn and someone sewing: Anna making linen ‘summer’ sails for the 2016 Gislinge boat. We talked about nettle and linen and the Must Farm finds, and then it was time to go and wait for the evening cruise. 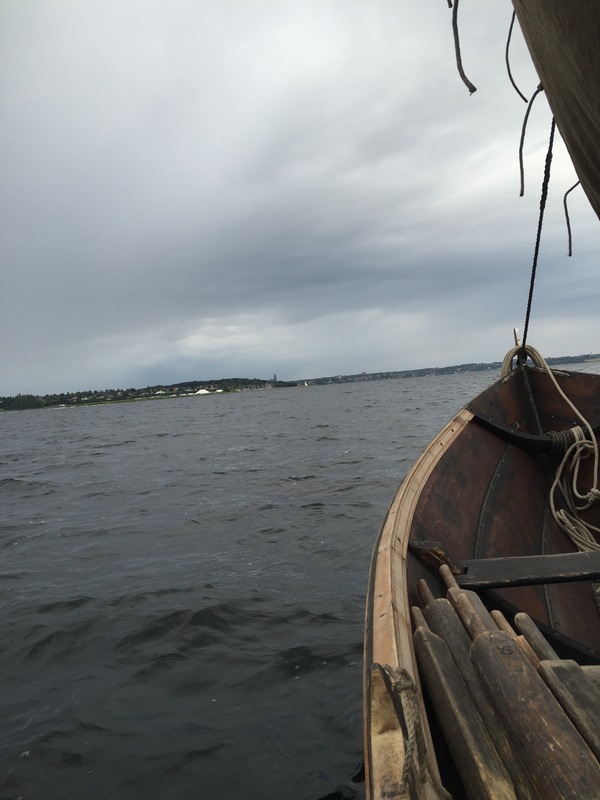 Not in fact one of the big and rather temperamental Viking boats, but a replica Norwegian working boat – with a hand-woven, hand-sewn greased woollen sail. Not hand-spun: it would take too long for one spinner who also has to weave! Anna spun samples that were sent to the mill. I don’t have many photos: I was a little reluctant to have my phone out while we were on the water. 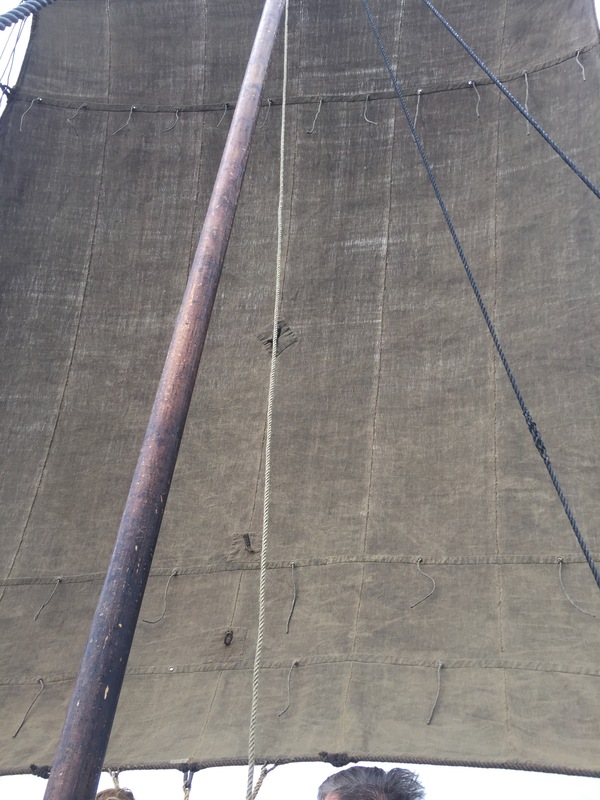 Apparently this is an old sail, wearing thin, so the wind goes through it more than it should. It catches more wind when freshly dressed, but people in the boat object to melted grease dripping from the sail in hot weather. We rowed out of the harbour (i like rowing, except for the person behind me who couldn’t keep stroke) until we caught the wind and could raise the sail. 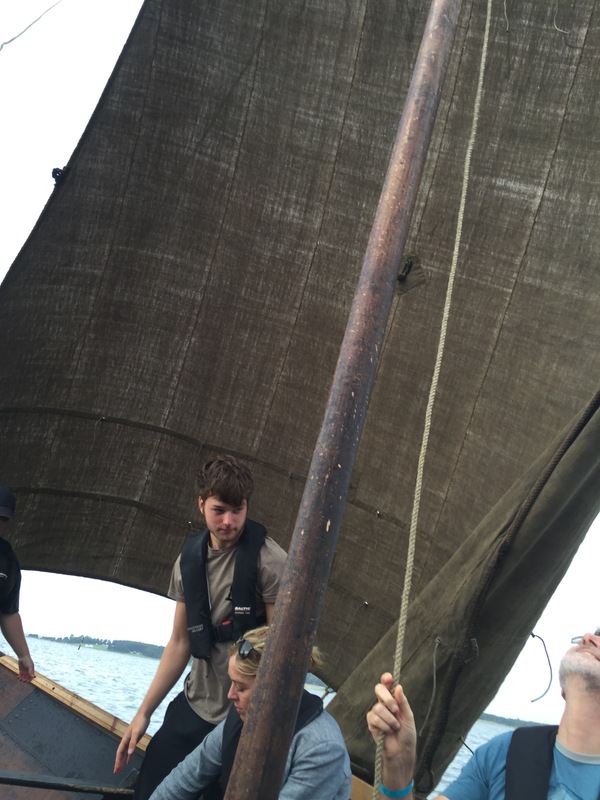 We sailed out, around the island and back; tacking was required. A. had the tiller for most of the journey back and was told he’d done very well fir someone who’d never sailed before. It’s not easy trying to keep the wind in the sail AND the boat making progress to the harbour. Then we rowed back into the harbour and i still liked it, except for the same person behind me. 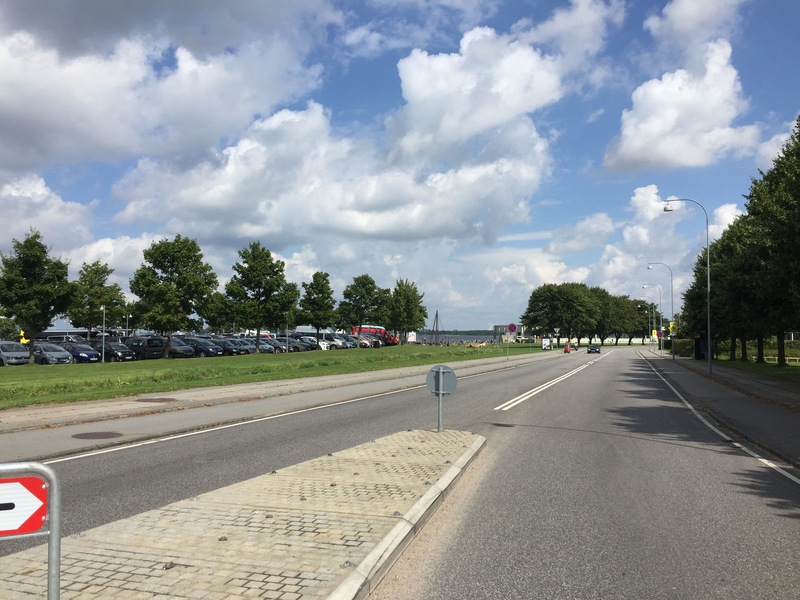 And then we walked to the station and caught the train back to Copenhagen. 2300 hours was a long day of fun. This entry was posted in Uncategorized on August 5, 2016 by sarahw.